Chinese Work Permit Visa can be granted to everyone who wants to work in Chinese. This is why you need to apply for Chinese Work Visa. You cannot work in China without your work Permit. This guide will put you through on how you can apply for a work permit in China. The first thing you need to organize for making your move to China is to get a visa. Unless you only need a tourist visa, you should leave plenty of time for gathering all the documents you require. Two months is a safe bet, although the process can take longer. Typically the Chinese embassy will take a week to process your visa application providing all documents are satisfactory and there are no further questions. However be aware that Chinese visas are only valid for entry within 3 months of their issue date, therefore although it is necessary to leave sufficient time to obtain your visa it is also important not to get your visa too far in advance either. Chinese visas are classified according to the purpose of your stay in China (such as tourism, study or employment). For a long-term stay in China, you need documentation from an organization (i.e. a university or company), which is necessary to prove to authorities that you will not be staying in China longer than your visa allows. L – Luxing (Travel): L visas are tourist visas that typically allow you to stay in the country for 30 days, although longer requests may be granted. You can also get a multiple-entry L visa, but this is more difficult to obtain. F – Fangwen (Visit): F visas are for short-term studies, research and cultural exchanges. Before the introduction of the M visa they used to cover business visas, but are now strictly non-commercial. Most F visas are only valid for stays up to 6 months, however there are also longer-running F visas and multiple-entry F visas available. Z – renZhi (Job/Post): Z visas are issued to those who come to China for employment. To obtain a Z visa, you need a letter of invitation from your employer and a work permit or foreign expert licence obtained by the company you will be working for. M – (Business): M visas are issued to those who are entering China for trade or commercial purposes. The M visa can issued on a single-, double- or multiple-entry basis. Multiple-entry allows holder to enter as they please throughout the validity perioud of the visa. Citizens of the USA can apply for a 10 year multiple-entry M visa, with max stays of 60 days on each visit. 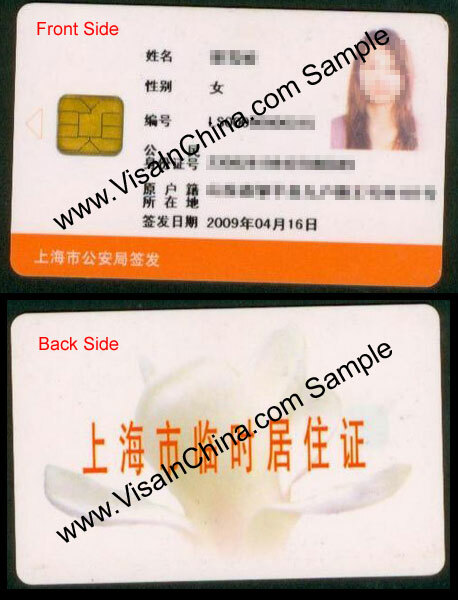 To receive an M visa you must either have an invitation from the Canton Fair or from a Chinese firm. X – liuXue (Long-term study): X visas are issued to long-term students and interns staying in China for more than 6 months. They require an enrolment letter and an application form from a Chinese school or a Chinese company. S1 and S2 visas (Private): Both the S1 and S2 visas are granted to individuals entering China for private affairs. S1 visas are long-term, granted to those going to live with immediate family-members who are working or studying in China. S2 visas are short-term, intended for individuals visiting family members in China. They are also granted for short-term private affairs, such as divorce procedures, adoption, etc. D – Dingju (Residence): D visas are residence visas for stays of up to 10 years and are issued to those expecting to permanently reside in China. D visas are extremely difficult to obtain and are normally only awarded to those who have already lived in China for some time and have made significant contributions to the country. To obtain a D visa, you must first get a permit from a local government in China. You will also have to submit a considerable amount of paperwork and amongst it a physical exam certificate. Q1 and Q2 visas (Family): The Q1 and Q2 visas are for Chinese descendents and foreigners married to Chinese citizens. Q1 is a long-term visa designed for individuals reuniting with family members, whereas Q2 is short-term and designed for visiting family members. Original proof of kinship is required for family visas. J – Jizhe (Reporter): J visas are issued to foreign journalists and are available in short-term (J-2) and long term (J-1) versions. They require a letter from both an employer and from the Foreign Affairs Office. Engaging in any journalistic activities without a J visa may result in being sent to prison. G – (Transfer): G visas are transfer visas and only allow you to pass through a Chinese airport on your route to another country. It is illegal to work in China on an L or F visa, so students or tourists are not permitted to take up employment. If discovered, you will be fired, fined and often deported, so don’t take the risk. However, you can change visa types if you happen to find a job in China. In most provinces, you can switch visa directly at the local PSB (Public Security Bureau). Although some local PSB’s may require that you leave the country to obtain a new visa. The exact documentation depends on the type of visa you apply for; check beforehand what you need as exact requirements are subject to constant change. Besides your documents, you will also have to pay a fee for your visa application, which will be dependent on the type of visa you apply for. Spouses and children receive the same type of visa and residence permit as the person who will be employed or studying in China, but they have to fill out an individual application form and pay the application fee. Note that China does not recognize any gay or lesbian unions. If you have difficulty obtaining your visa for China (i.e. because you want to set up your own company or work as a freelancer), it is possible to hire a professional visa service, many of which are based in Hong Kong. Though expensive, they can sometimes work miracles (although you might not want to know how exactly they got your visa). Tip: Before starting your application process, make a copy of all your documents (passports, identity card, driving license etc.). This will prove to be very helpful if you need to submit a copy of a document.